Lego Gift Store | Every Brick Is Awesome! Welcome to the ultimate Lego gifts store. On this site we have collected thousands of your favorite LEGO building sets, toys and video games. Everything from planes, trains and automobiles More... in LEGO City to podracers, tie fighters and AT-AT Walkers in LEGO Star Wars, you will find it all in the themes and sets section. But there's more! Don't forget to check out our collection of LEGO books and video games for every console including Xbox, Wii and PlayStation. Everyone who loves LEGO knows that every brick is awesome! This is a rare collectible discontinued LEGO set first released in 1989. LEGO #6285 Black Seas Barracuda is a huge 865-piece set with 8 minifigures. 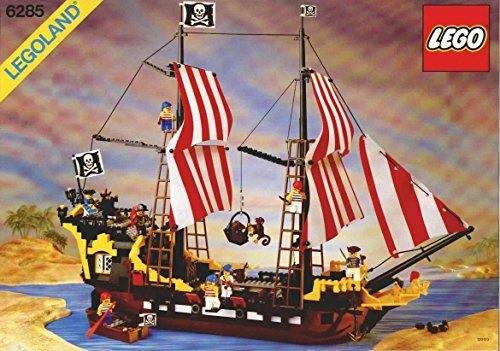 The Black Seas Barracuda is a big detailed pirate ship build with lots of cool details like climbable masts and a crow's nest, Jolly Roger pirate flag, cloth red and white striped sails, on board monkey and red macaw, an anchor, and a separate mini rowboat. You'll also get eight minifigures: Captain Redbeard and seven pirates. There is variety in the pirates; you'll find several different faces, torsos, legs, and hats. 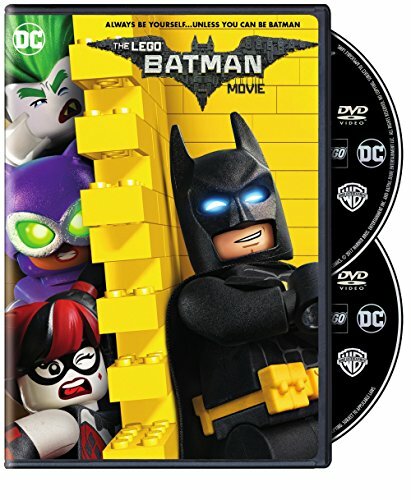 Enjoy the fun of The LEGO Batman Movie over and over in the comfort of your own home when you buy the DVD special edition version of this awesome film. 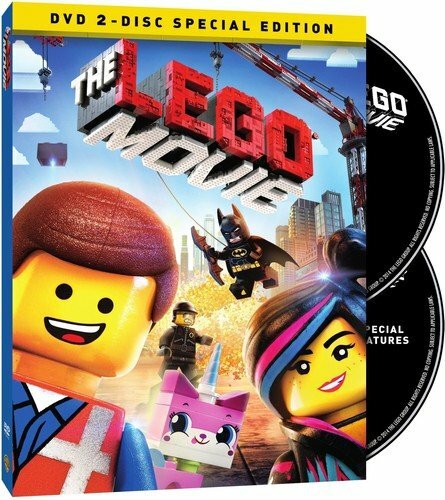 The Special Edition LEGO Batman Movie is a 2-disc DVD set with tons of extras. The feature itself has a runtime of 104 minutes. In addition, you'll get five different shorts, two making-of features, trailers, behind the scenes commentary, and more. The LEGO Batman Movie stars Will Arnett, Zach Galifianakis, Michael Cera, Rosario Dawson, and Ralph Fiennes. Make your own Rube Goldberg creations out of LEGO with this awesome instruction book from Klutz. 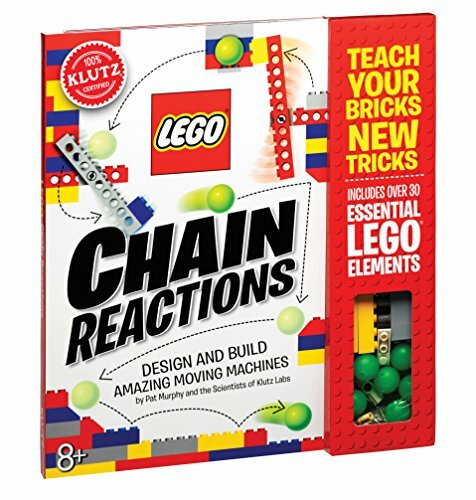 The book comes with some LEGO pieces and other non-LEGO elements like string, paper, funnels, marbles, and more -- all to make the most awesome chain-reaction builds. This is an 80-page book made for LEGO builders looking for fun and exciting challenges. You'll get instructions to make 10 different chain-reaction contraptions that swing, spin, roll, and drop. 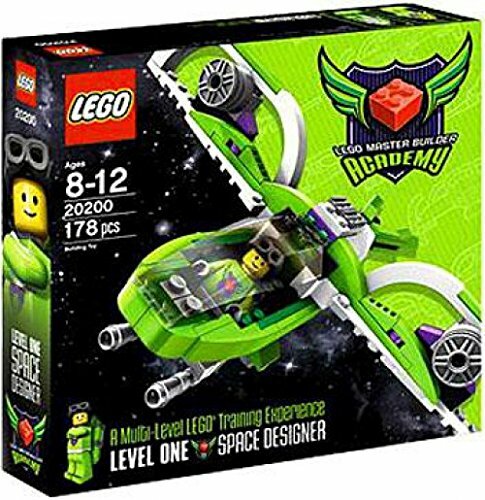 Take your creative LEGO builds to the next level with kits from the Master Builder Academy series. This is the first set in the series, featuring a space theme. LEGO MBA kits are advertised as multi-level LEGO training experiences. Begin with Level One: Space Designer! This is a 178 piece building set made to help creative LEGO fans hone their skills in making their own designs. The included instruction book has detailed tips for making special LEGO creations. Instructions are also included to build three different space vehicles (build separately).